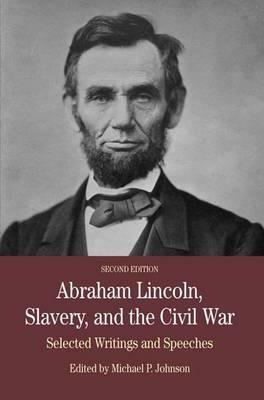 This collection offers students the essential Lincoln in a brief and accessible format. From famous documents like the Lincoln-Douglas debates and the second inaugural address to crucial memoranda and letters, it reveals the development of Lincoln's views on all the critical issues of the day. PART I: INTRODUCTION: ABRAHAM LINCOLN, WORDSMITH .- PART II: THE DOCUMENTS.- Becoming a Republican.- Leading the Republican Party.- From Secession to War.- Marching South.- Toward Emancipation.- A War for Freedom and Union.- Defending a New Birth of Freedom.- 'To Finish the Work We Are In'. MICHAEL P. JOHNSON is a Professor of History at the Johns Hopkins University, USA.